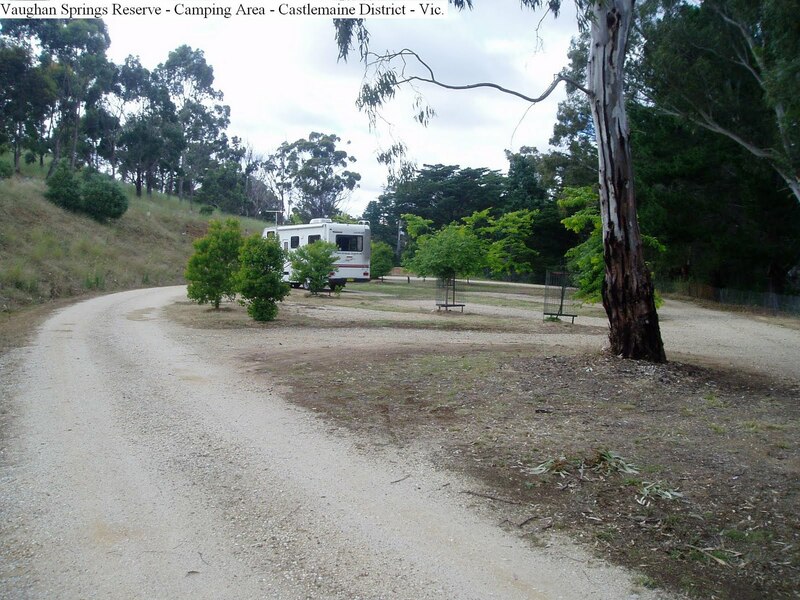 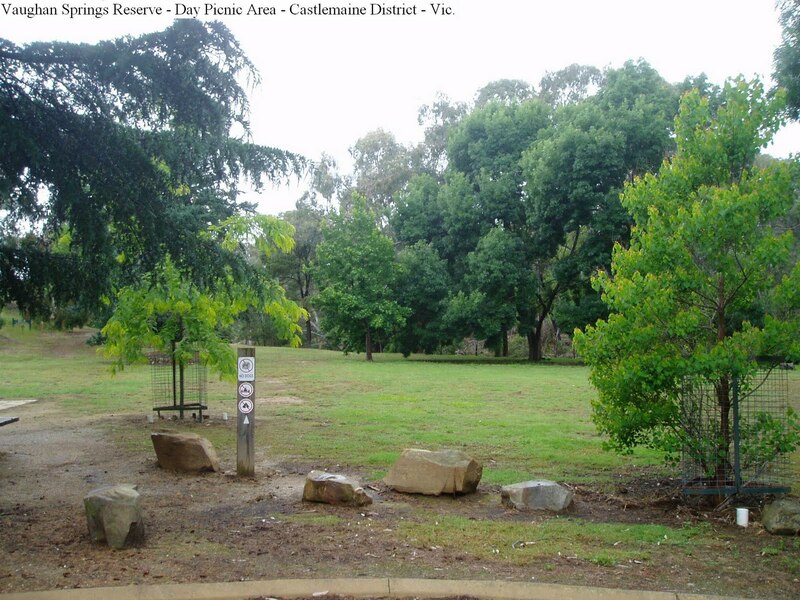 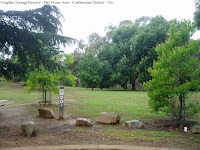 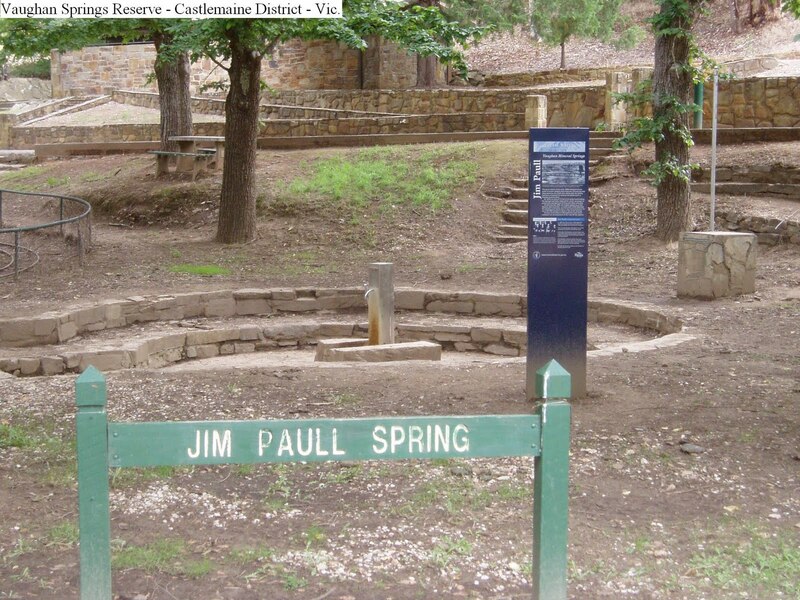 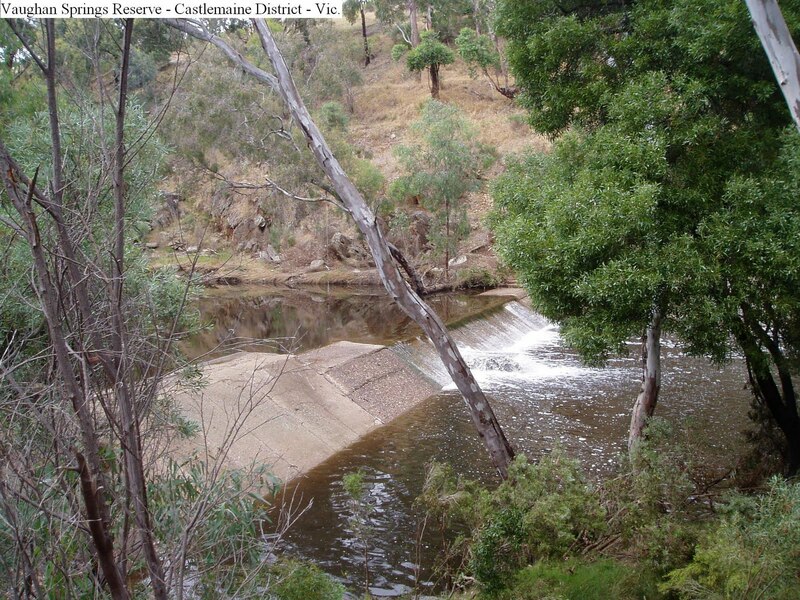 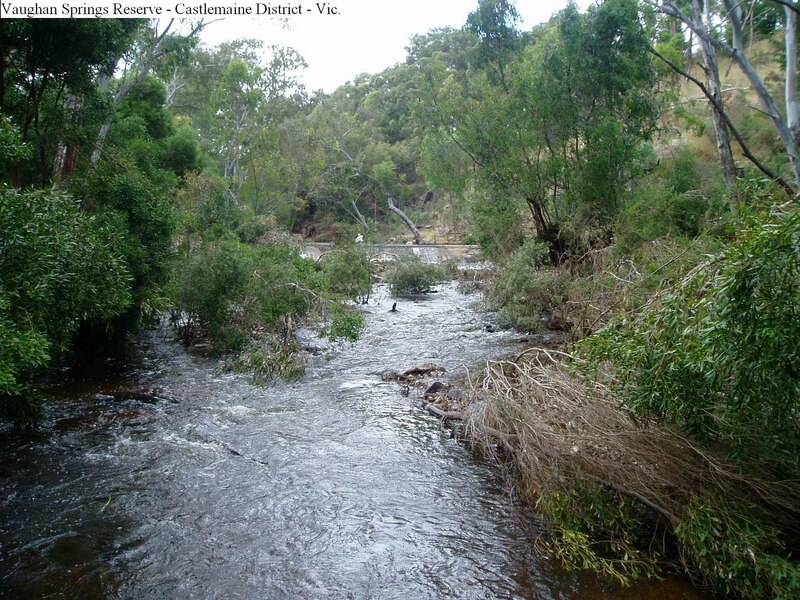 Only 15k South of Castlemaine and 8k East of Guildford via Yapeen along Vaughan Springs Road is Vaughan Springs Reserve Camping and Picnic area. 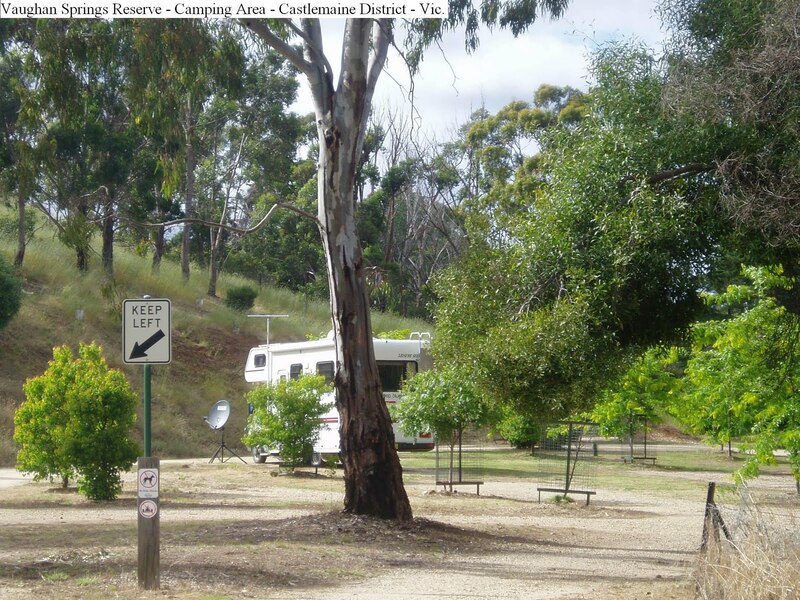 There is a dedicated camping area on the top level that is level and protected from the elements by pine trees and an embankment. There are also taps that has very brackish water and is not suitable for anything much at all. 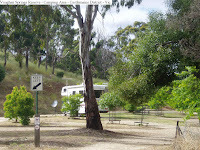 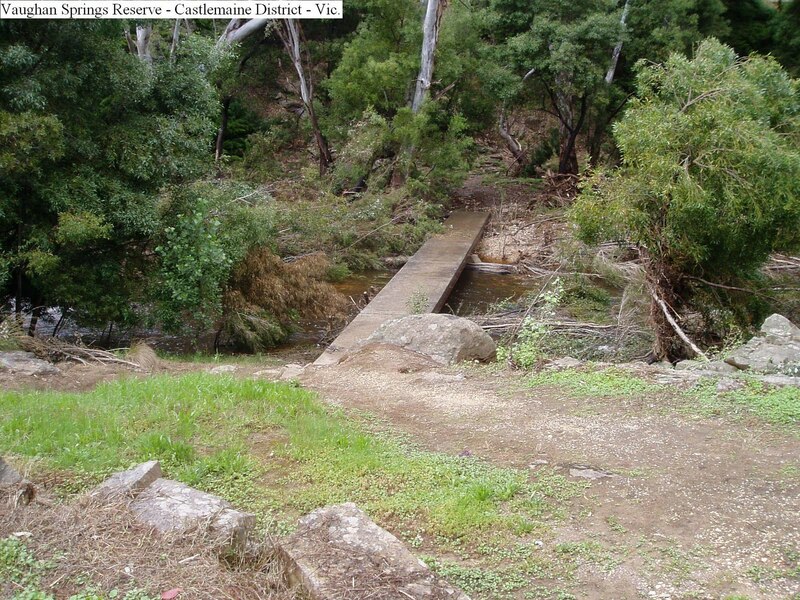 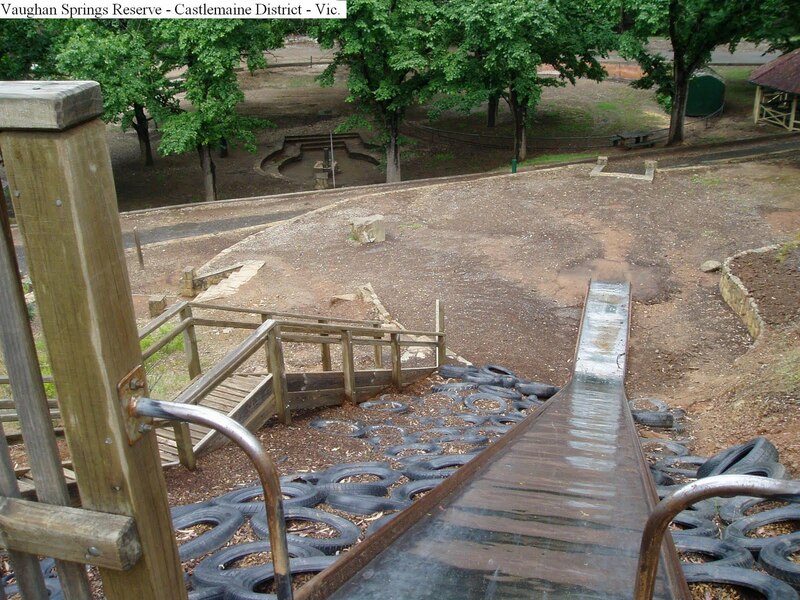 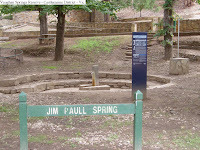 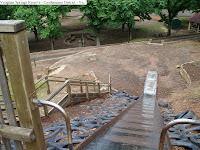 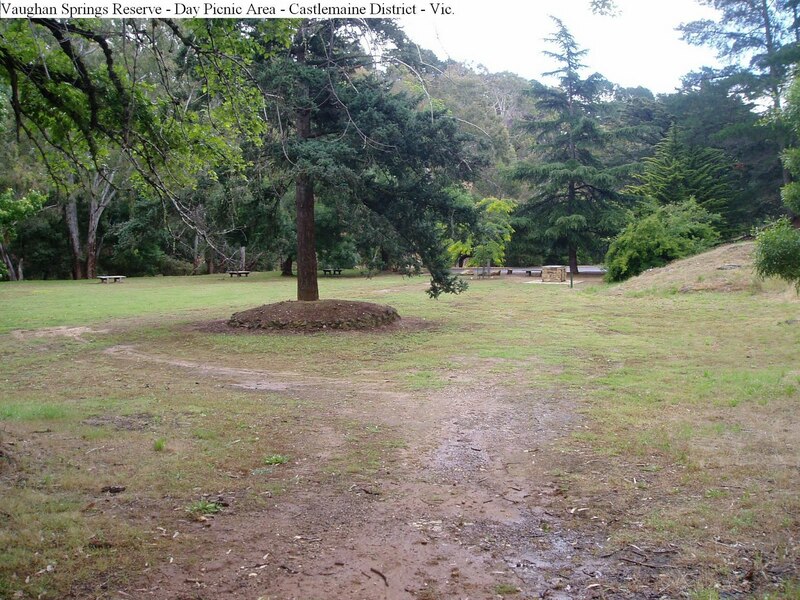 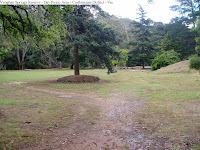 A short walk along the track takes you to a slippery dip (for big and little kids), and stairs that take you to the day picnic area, septic toilets, electric BBQ’s, tables, the creek, a weir, mineral spring taps and shelter sheds. We arrived just after the floods and evidence of the torrent can be easily observed. 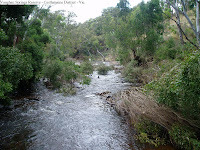 Bush walks are well signed and we were impressed by the amount of bird life in this locality.